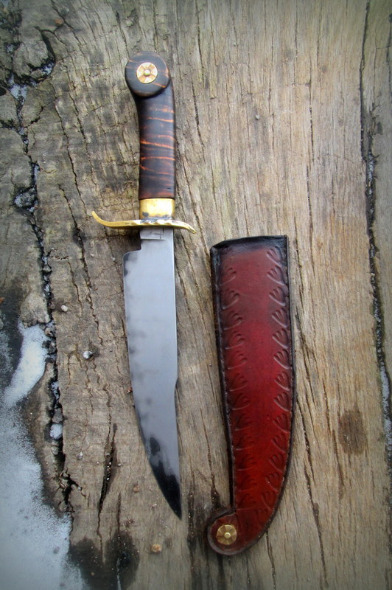 Eastern knives is very broad term... 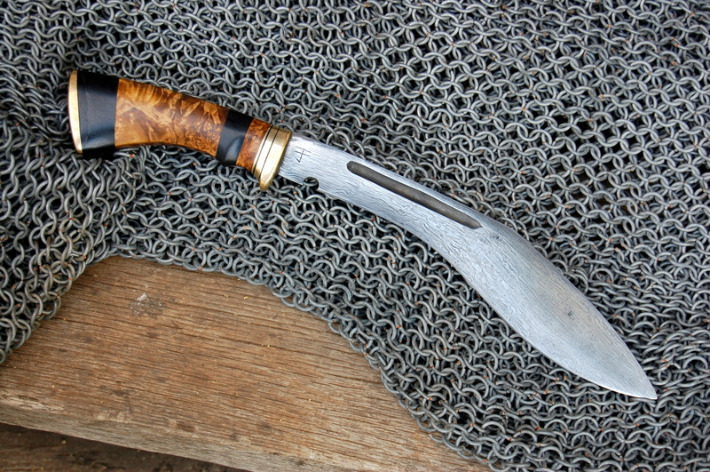 I am lumping a lot of cultures and their individual styles of knives on one page. Not because I do not admire their high craftsmanship, but throughout my studies I have ended up mostly doing European and American styles, designs, and research. 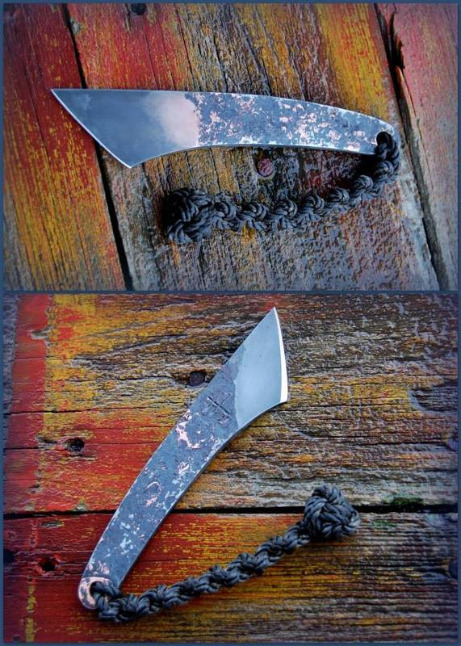 It takes a life time of study to produce a perfect Japanese blade in their traditional style, I have played with a few of their aesthetics to incorporate techniques into my regular work (such as heat treating hamons, temper lines, special alloys, metal cladding, to name a few) though I am no master of their techniques as a whole. 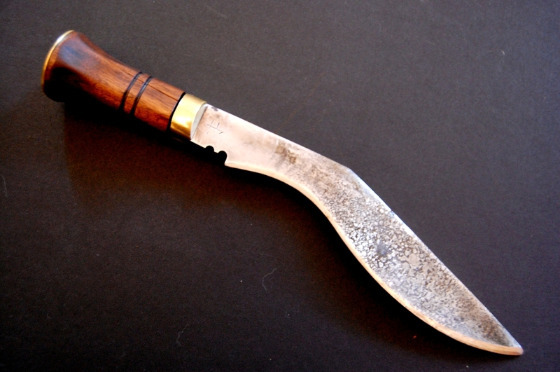 There are often Eastern knife designs that are not seen historically in the West, these are often known as the very best design for a given task; Kiridashi, Bolo, Kukri, Katana, Yanganhiu to name a few.